Lulu's Garden: Fresh Strawberry Yoghurt! 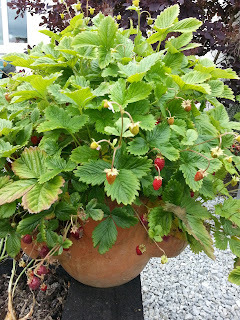 This year M&D bought different strawberry plants and they have only given us teeny weeny strawberries. They're not really much use for making nice cakes and you would need an awful lot to make jam. They do fit quite nicely into my mouth but I wanted something else to do with them so I have come up with a yummy solution which is healthy too! I, like most kids my age (1), LOVE yoghurt. But the stuff you buy in the supermarket has added sugar as well as other things that I can't even pronounce! So, instead, Mummy buys me a big pot of natural yoghurt (2) and we just add some lovely fresh fruit. Sometimes we add raspberries (my all time favourite) and sometimes we go a bit exotic and make a puree from some pineapple, melon and kiwi. 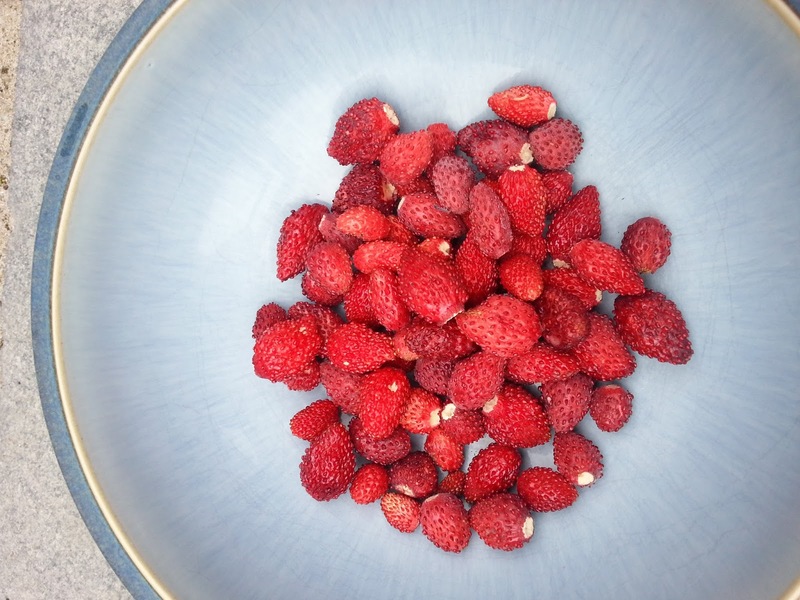 But it's the most fun when we go into the garden, pick our own strawberries and give them a quick mush up before mixing with the yoghurt. 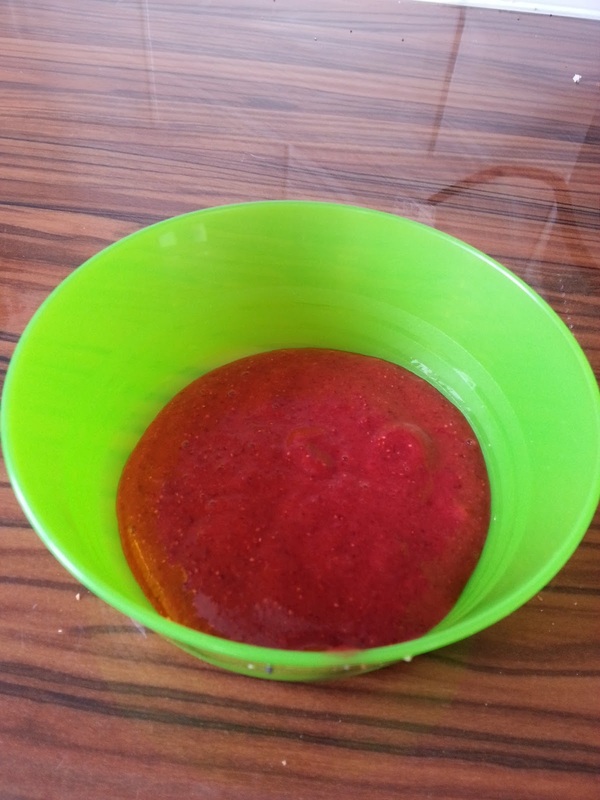 It tastes super yummy and it's fresh and healthy too. Plus it's cheaper than normal yoghurt, bonus! A tasty treat for everyone in the family! 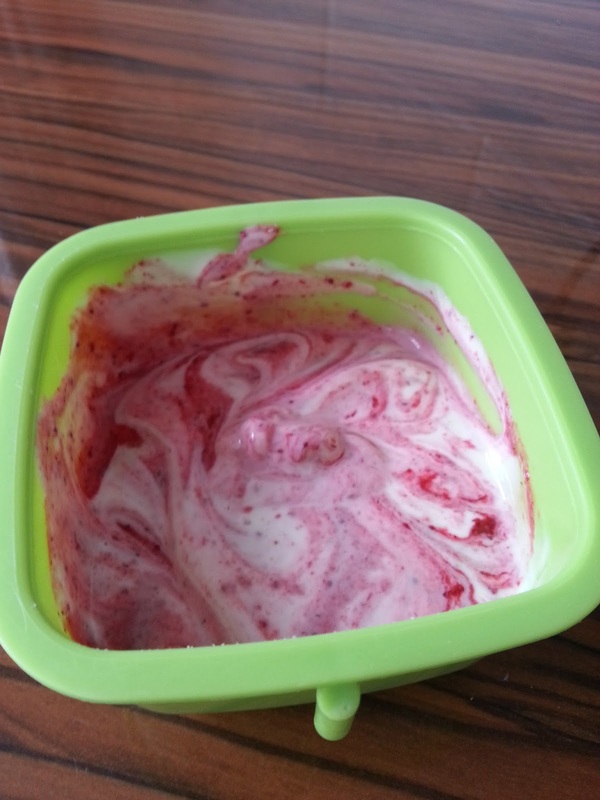 Mixed with the natural yoghurt, the strawberries are extra yummy! Hope you love eating it too. 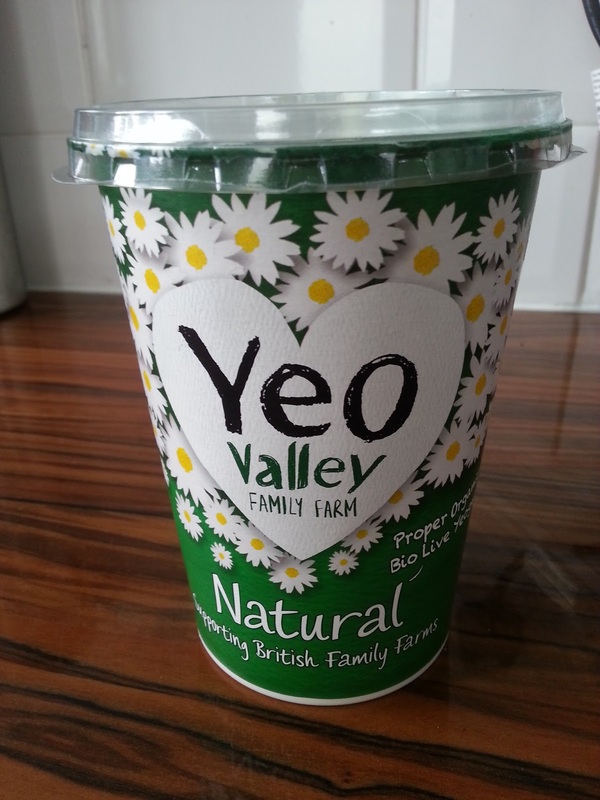 (2) I have another top tip for using natural yoghurt. If you have bought a lovely terracotta pot for the garden but it looks too new, paint some natural yoghurt on it and it will soon have some lovely moss growing on it and it will look like it's been at home there for years. Or you can make your own moss graffiti. M&D posted some cool photos of this sort of thing on their Facebook page. Go have a look, it's awesome! Don't try and use some Petit Filous though, you won't get the same effect!